On Saturday, Mr. Bonanno&apos;s three children rented a ballroom in Tucson, Ariz., 2,070 miles from the scenes of what the Government says were major crimes like attempted murder, gambling and narcotics trafficking. Over salad and filet mignon, Mr. Bonanno&apos;s children and grandchildren gave testimonials to the man who prosecutors say parlayed a small bootlegging operation into one of New York City&apos;s major crime families. Then there was cake, sliced from a confectionery-scale Leaning Tower of Pisa. The Daily Star had a story and two photographs about the party on the front page of its Monday issue. Yesterday, it ran another story, also on the front page, saying that more than 100 readers had called to complain that the Monday coverage "glorified Bonanno." Some callers, the article said, were upset to read that Gov. 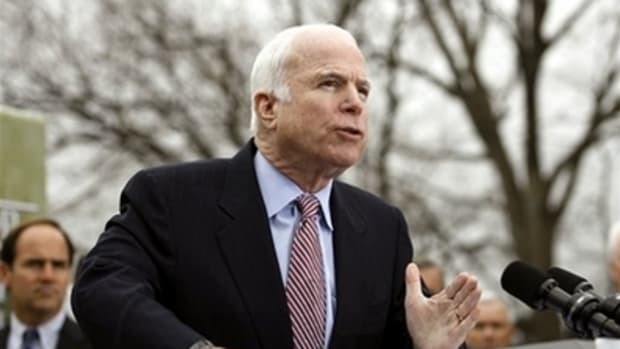 Fife Symington of Arizona and Senator John McCain, an Arizona Republican, had sent birthday greetings.